This is good news for us, because along with Spain’s iconic “first growth” wines that ring in at $500 a bottle or more, there is great value to be found in Spain, as well as exciting new varietals and blends. If you had to pick 20 Spanish reds—how hard is that!—these wines would make the cut. Remember that many of these great producers make wines and wines at varying levels (Crianza, Reserva, Gran Reserva), so if you can’t find the benchmark wine listed here, you can try something else from the same producer. I haven’t tasted every one of these wines, but I hope to try them all before I quit drinking…but what is life without wine? 1. 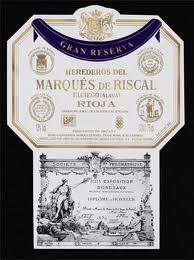 Marques de Riscal Gran Reserva- This is one of the first bodegas in Spain to use the Bordeaux method of winemaking. The Rioja estate is now famous for its pink and silver City of Wine building designed by Frank O. Gehry. The Gran Reserva, made from Tempranillo, Graciano and Mazuelo, is made in smaller quantities than some of the bodega’s other bottlings, but isn’t too expensive or hard to obtain. It has great aging potential, if the 1945 Marques de Riscal is any evidence— it is considered to be one of the greatest red wines ever produced in Spain (but nearly impossible to find). 2. 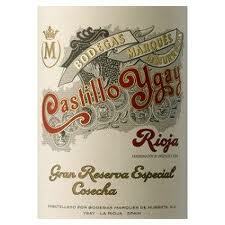 Marqués de Murrieta Castillo Ygay Gran Reserva Especial- Another Rioja bodega famous for bringing the Bordeaux method to Spain. 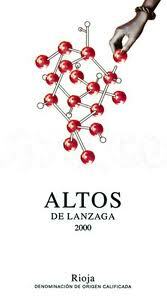 The wine is made from Tempranillo and Mazuelo and has a distinct fat, high alcohol and highly pigmented character. It is relatively affordable. Any Spanish wine junkie should get a fix from Murrieta. 3.Valdemar Inspiración Valdemar Maturana Tinta- This bodega has always stood for innovation—the first barrel-fermented white Rioja, the first Garnacha Reserva and the first Cabernet Sauvignon Reserva in Rioja were all made here. Along these lines is the Inspiración made from 100% Maturana Tinta, a native grape that was nearly extinct before Riojan viticulturalist Juan Carlos Sancha made an effort to revive the variety. First made in the 2005 vintage, it’s a must-try for lovers of Spain’s unique grapes. 4. Torres Mas La Plana- Anyone who knows Spain knows the name Torres. This is one of the largest wine producers in Spain (they make more wines than one can keep straight) and a profile of the top Spanish wines wouldn’t be complete without a Torres bottle. Miguel Torres introduced stainless-steel fermentation and temperature-controlled fermentation to Spain in the 1960s. This is one of their higher-end bottles, made from Cabernet Sauvignon. The Torres Perpetual from Priorat is another good Torres wine to try. 5. Compañía de Vinos Telmo Rodríguez Altos de Lanzaga - Telmo Rodríguez has been called “Spain’s most celebrated itinerant winemaker.” He travels the country in search of forgotten regions and vineyards in an effort to preserve Spain’s tradition under the pressure of commercial wines. He makes countless wines in regions all over Spain. This is the top Telmo Rodríguez wine from Rioja, made mainly from Tempranillo with a little Garnacha and Graciano, first produced in 1999. Another of Telmo’s wines, Gaba do Xil, a red wine from the Mencía grape, is so awesome that it was featured in Japanese Manga in 2010! 6. 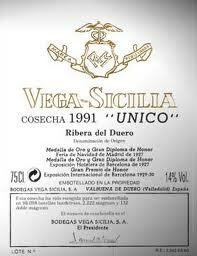 Vega Sicilia Unico- Spain’s equivalent of first-growth Bordeaux, from Ribera del Duero. A long-lived red made only in good vintages and aged longer in oak than almost any other Spanish wine. 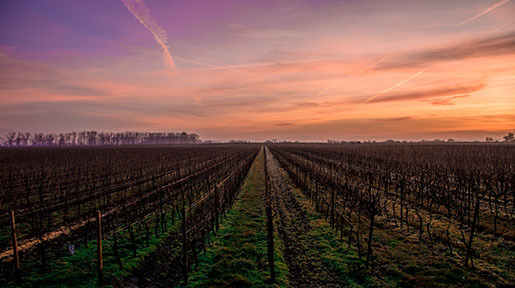 In the past, Bordeaux grapes were used in addition to Tinto Fino (a local strain of Tempranillo), but nowadays Cabernet and Merlot take a backseat to the native variety. Expensive and, of course, difficult to find, but do not pass up an opportunity to taste Unico if the gods decide to smile upon you, and maybe someday they will—this wine lasts for decades. 7. 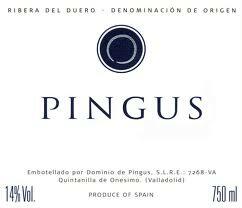 Dominio de Pingus- This is a cult wine also from Ribera del Duero, one of Spain’s rarest and most expensive wines. It’s 100% Tinto Fino aged in French oak. The wine, the first vintage of which was produced in 1995, became famous after Robert Parker took notice (Ribera del Duero was barely known in the 1980s, and is now one of Spain’s most famous red wine regions). Don’t ever pass up this wine if you get the chance to taste it. 8. 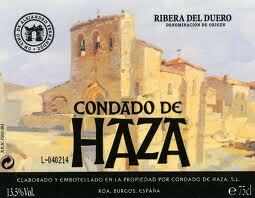 Bodegas Tinto Pesquera Condado de Haza Alenza- Another of the big names from Ribera del Duero. Made by Alejandro Fernández, who helped place Ribera on the map. When the vintage is great, the best grapes are reserved for Alenza, a wine made from 100% Tempranillo and aged about two years in new oak. This is a balanced wine from a quality conscious producer that will gain complexity over time. Look for bottles with some age. 9. Numanthia Termanthia Toro- If you really want to explore what Spain has to offer in the way of wine, you’ve got to try this bottle from the Toro region in northwestern Spain. The old, old Tinto de Toro vines (a local strain of Tempranillo) are un-grafted, having never been affected by Phylloxera. The grapes have intense fruit character and the wine is aged in 100% new French oak resulting in a concentrated, powerful, flavor-packed wine. It’s definitely expensive but worth it if you get the chance to taste it. 10. Clos Erasmus- One of the “Gang of Five”—five producers whose wines made the Priorat region (which was then unknown) famous during the 1980s and 1990s. 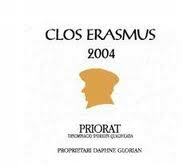 Named after philosopher Erasmus von Rotterdam who wrote the essay “In Praise of Folly,” Clos Erasmus has received 100 point scores from Parker and is a hallmark of Priorat—turns out it wasn’t so crazy to cultivate vines there, after all! Biodynamic, 90% Garnacha, 10% Syrah, aged in French oak. Dee-licious and not to be missed. 11. 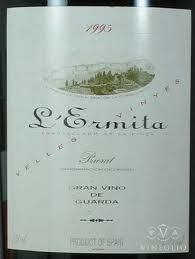 Alvaro Palacios L’Ermita- Another of Priorat’s most celebrated and expensive cult wines. Predominantly Garnacha from vines more than a century old. Alvaro Palacios, trained in oenology in Bordeaux, is one of the pioneers of the region. He is a champion of Spain’s terroir, who says, “In the glass, I’m always just trying to show a captured moment; the picture of the landscape, the geology, the climate, the soil and the tradition.” L’Ermita certainly accomplishes this, and any lover of Spain’s list of coveted wines wouldn’t be complete without it. **Finca Dofí- Alvaro Palacios also makes Finc Dofí, one of the Gang of Five Priorat wines. It’s from a single-estate vineyard planted to 60% Garnacha along with Cabernet Sauvignon, Merlot, Syrah, and Cariñena. 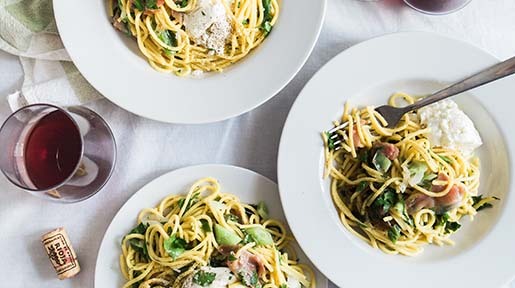 Reasonably priced and oh-so-good! 12. 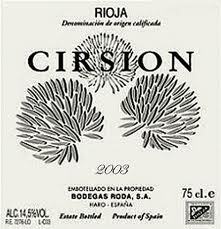 Bodegas Roda Cirsión- This Rioja bodega takes pride in allowing only juice from a single vintage into its wines, unlike other winemakers who use a percentage of wines from other vintages in their blends. Cirsión is meant to express the terroir and climate of Rioja Alta in every vintage. The wine is a blend of Tempranillo, Graciano and Garnacha. 2001 was an exceptional vintage of one of the greatest wines of Spain. If you can’t get this bottle, Roda I is a modern-style Rioja from the bodega, with well-integrated oak and lots of ripe fruit. 13. Bodegas López de Heredia (Tondonia) Viña Tondonia Gran Reserva- This estate, usually known simply as “Tondonia” or “Heredia,” has been family-run for 150 years. Each wine is named after the vineyard from which it comes: Heredia’s philosophy is that each wine should express its terroir in a consistent way year after year. 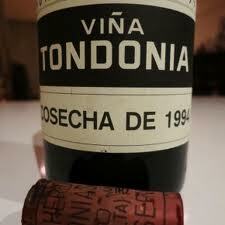 The Tondonia Gran Reserva is mainly Tempranillo, although the bodega does grow other varietals. Older bottles of the grandes reservas are to die for, and if you come across a Tondonia Tinto 1964, start polishing your best glassware! 14. 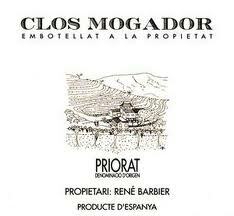 Clos Mogador- Another of the Gang of Five from Priorat. Made by René Barbier, the son of vineyard proprietors in France who came to Catalonia and applied his knowledge of French winemaking to the region. The wine is made up of mainly of Garnacha, but also includes Cariñena, Syrah, and Cabernet Sauvignon. It is dense and rich and has been called “Reubenesque.” It has the potential to age several years. This is a fantastic wine that’s still affordable and available, and a great addition to a Spanish wine lover’s list. 15. 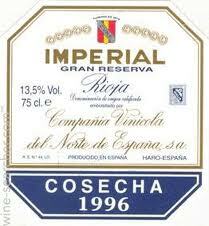 CVNE Imperial Gran Reserva- An iconic wine from Haro in Rioja that’s produced only in exceptional years. Made from Tempranillo with some Mazuelo, Graciano and Viura, it is a quintessential Rioja Alta wine: austere, refined, fresh and balanced. This wine ages beautifully, so don’t pass up any bottles of 1947, 1959, 1968 or the more recent 1995. 16. 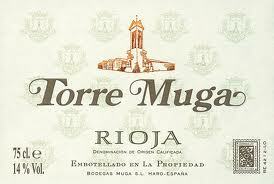 Muga Torre Muga- This is another wine from Haro in Rioja. The Muga family has been involved in viticulture here since the 17th century. All the wines are aged in oak, and the estate has employed its own house cooper for the past 40 years. This is a more modern version of Rioja, with its first commercial vintage in 1991. It is powerful and extracted but with plenty of fruit and acidity to create balance with the oak and tannin. This is one of my favorite Spanish wines and has to have a place on any list of great Spanish reds. 17. 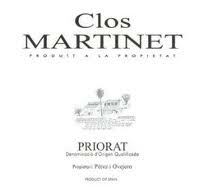 Clos Martinet- This is arguably the most sophisticated and elegant of the five Priorat Clos wines. Only the best parcels are blended into this wine. Clos Martinet is what I think of when I think of great Priorat: lots of ripe fruit paired with a bit of a burnt earth characteristic, dried herbs, espresso and strong but integrated tannins. Juicy, rich and delicious! 18. 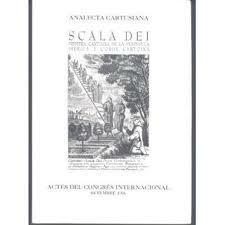 Scala Dei Cartoixa- This wine is a legend from Priorat and enjoyed success long before the Gang of Five. The winery dates back to the 12th century and this particular wine is named after the Cartoixa d’Scala-Dei monastery that sits above the village of Scala Dei. The wine is made mainly from Garnacha, is very affordable and easy to find. It’s a piece of Spanish wine history that you can taste without spending a fortune, as well as a delicious wine worthy of our list. 19. Bodegas Aalto- Mariano García, who was winemaker for Vega Sicilia and is regarded as one of Spain’s top winemakers, makes this wine along with Javier Zaccagnini, former director of Ribera’s Consejo Regulador. Their aim is to make wines that can compete with the best in the world and show what Ribera’s terroir is really made of. The estate has only been in business since the late 1990s, but it is already enjoying success. This is just one of the exciting new wines coming out of Spain that deserves a spot on the list. 20. 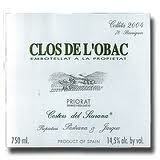 Clos de L’Obac-The last of the five Clos of Priorat. Wine critics have declared this to be one of the world’s 150 best wines. The first harvest was in 1989. The winery sticks to the same blend for its wines, placing emphasis on the character of the wines of a given vintage, regardless of changes in the climate from year to year. It is a blend of old vine Garnacha with Cabernet Sauvignon, Syrah, Merlot, and Cariñena. 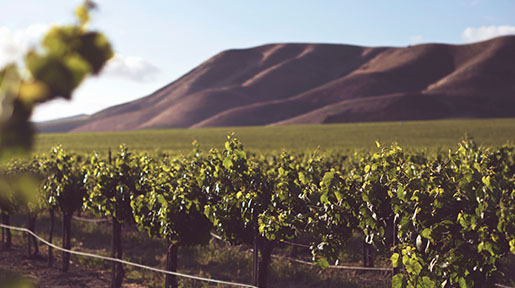 The vines are old, the wine is powerful, and it makes a great addition to our top 20. There are so many great Spanish wines that it’s hard to narrow it down to 20! I would love to know what you think about the wines I’ve included, and what you would exclude or add to your own list. 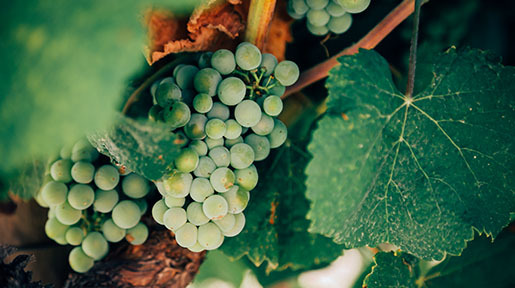 Spain has more area under vine cultivation than any other country in the world, according to Wines From Spain. 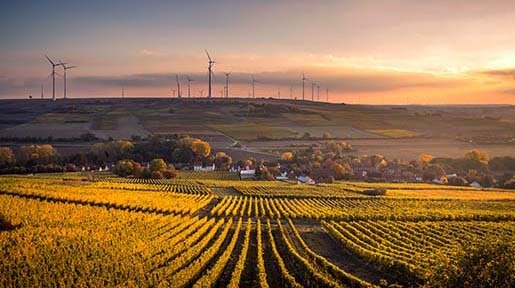 While much of Spain's wine production remains in-country, Spain exports wines to many other nations, including the United Kingdom, Germany and the United States. Russia and Italy are importing more Spanish wines than ever before.